The Drama Studio may be Springfield, Massachusetts' best kept secret. Join our conservatory theatre for one of our 25+ after school classes, vacation camps, and many yearly performance opportunities, or contact us about educational touring productions, literacy workshops, field trip opportunities and drama club residencies. Our mission is to enrich and validate the adolescent experience in our diverse community via excellence in a conservatory-style acting training program. 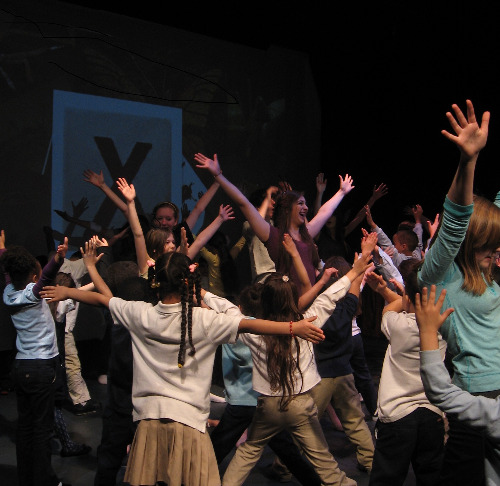 The Drama Studio was founded in 1987 by Steve Hays and a group of educators and parents who envisioned an institution where youth could study acting as seriously as they could study music, supported by a carefully designed curriculum, productions of quality scripts, and a strong scholarship program to ensure opportunity for all. The term “conservatory-style” was used to describe a two-part process: first, a series of acting classes, offered sequentially from introductory to advanced levels, that would permit acting students to grow in their craft over a period of years, and second, a series of production opportunities that would allow students to audition, rehearse and perform at the same level of quality operating in the classroom. We have now added a third part to our approach: community and educational outreach. This outreach, in the form of field trips, touring productions, literacy workshops and residency programs is vital to our mission because it makes our program even more accessible to all local young people. Drama Studio Inc. is a tax-exempt 501 (c) (3) non-profit organization. Please contact us if you need our tax ID number. We are proud to be supported in part by grants from the Mass Cultural Council and the Springfield Cultural Council.